Brett Beyer (AUS) just won his 12th Laser Master Worlds and is on his way to breaking the all-time record of 13 held by Keith Wilkins (GBR). What makes Brett special is that he's not only a great sailor but he's also a great coach, and is working with the sailors from Singapore and South Africa for the upcoming Rio Olympics. This means that he has very little time to practice but instead spends lots of time watching other top sailors. 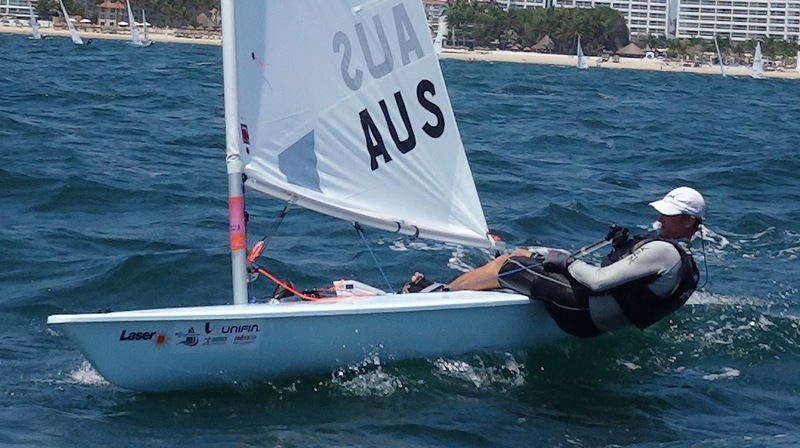 Followed defending apprentice world champ Brett Bayer (AUS) on the port tack lay line. Looks a lot like Olympic gold medalist Robert Scheidt (BRA) in the boat – tall, smooth, and just more speed. Beautiful to watch. Brett rounded 2nd and went on to win by 100 yards. Brett is a frequent contributor to our blog and he has kindly shared how he won. Winning the final race, taken by Pam from the finish boat. Notice how flat Brett's sail is. The Masters Worlds in Mexico was one of my most enjoyable regattas for a long time. Sailing conditions that suited me as well as great race organisation and on-site accommodation were all things I had been looking forward to – and I wasn’t a bit disappointed. My decision to compete with the old sail was always going to be a little risky, but I feel it is a more versatile sail upwind once you get some wind and waves, which was the expected conditions. I don’t regret that decision but nor do I think it contributed in a meaningful way to any of the results. I see the new sail as being an improvement overall but not in performance, just in sail shape and longevity. Each of the sails have advantages and disadvantages but it is impressive as to how close in performance the sails compare to each other. During and after the Worlds, I had many discussions with sailors questioning how I can produce boat speed that is at times dominant. Especially given it is not fitness nor training related. And it is a question that I too have pondered, but don’t take for granted. I applaud Gavin and others that progress via the tried and trusted routine of hours on water and analysis. But this routine is not unlike my own, with the exception that I am not on the water sailing, but on the water coaching. Watching others in detail is ‘training’ for myself. My Olympic coaching has me doing less and less sailing over the years but improves my own sailing in ways I had not expected – mainly technically. And it is this technical understanding and improvement that I rely on so heavily, as opposed to on water training or fitness benefits. Ernesto Rodriguez (USA) is supremely fit and a great sailor, he came 2nd in the regatta and is a good example. His fitness for sure contributed to his performance and I wish I had the time and motivation to do likewise. But I don’t and I know my best asset to rely on for performance will always be to technically sail the boat well. What does this mean? Well in waves, it means understanding shape and size of waves and attaching a specific technique and timing to each wave variation. This is not a general upwind formula but a very specific way to sail over/through each specific wave. In Mexico, the waves were different on Port and Starboard tacks, therefore the technique differed, as did the rig set-up, where often I was trying to sail faster on Starboard, compared to Port, which may seem counter-intuitive. This different wave pattern also offers the same gain potential for me downwind where applying a certain technique that has a tactical outcome was key. 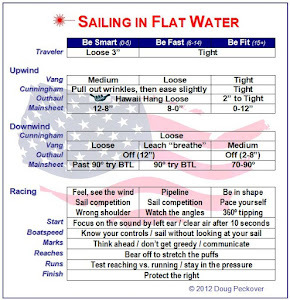 I often made around 30 seconds of gain each downwind, on the next fastest boat. This is something I simply can’t achieve with flatter water, or for that matter, better fitness. Is the rudder too loaded? Is the rig too grumpy? Does the boat accelerate when flicking the bow away? 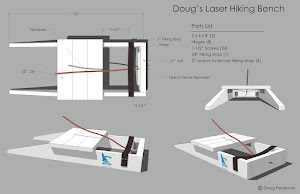 Does adding more hiking feel like it contributes? Do I want wave direction downwind or go across the wave? All these are reliable forms of checking to see if the boat is happy to go fast or if I’m in a battle with the boat, where speed will be the victim. 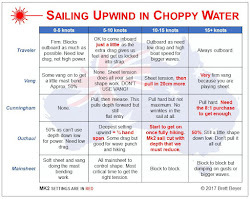 This is the primary reason I haven’t got any marks on my ropes as I rely heavily on what the boat is telling me and I trust myself to make an appropriate change in sail shape or technique when necessary. I am hosting Skype coaching sessions that started with Worlds debriefs as examples of improving technique and boat speed. The most requested topics I’ve received are: “Downwind wave catching” and “Upwind speed/waves”. This is where sailors felt most vulnerable last Worlds. Please contact me if you are interested for costs and other details at beyersailing(insert at symbol)gmail.com.